Adds the possibility to display the pop-up and fly-in opt-ins on single WooCommerce product pages. Adds the ability to subscribe users to your mailing lists directly from the WooCommerce checkout page. 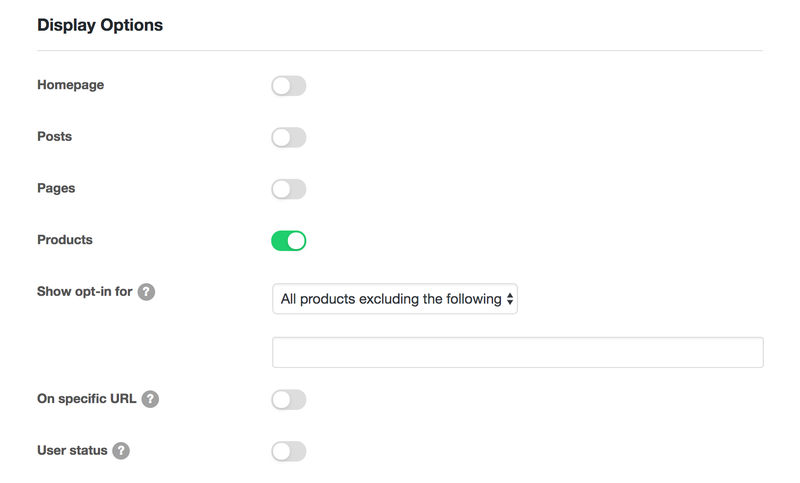 Option to display the opt-in on all WooCommerce product pages. 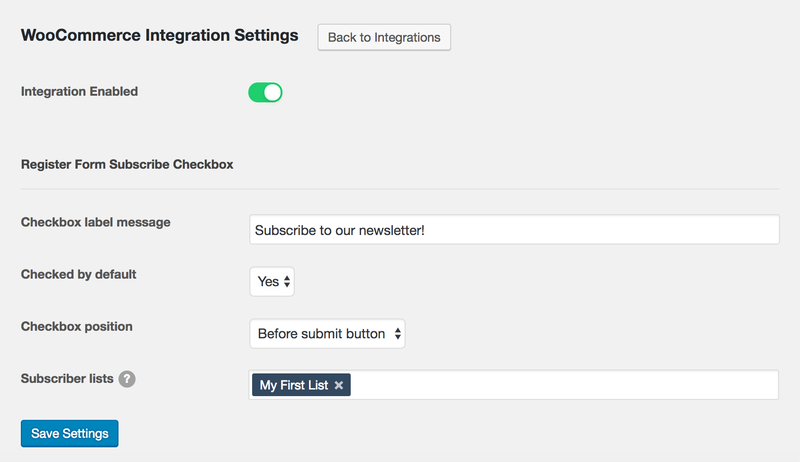 Integration settings to display a subscribe to newsletter checkbox on the WooCommerce’s checkout page. WooCommerce Extension is available in Optin Hound Pro.